The key to making virtual visits a digital success - TeleHealth Solutions | Hospitalist Focused TeleMedicine for SNF/ALF & Rural Critical Access Hospitals. Ami Bhatt, MD, a cardiologist at Massachusetts General Hospital, had her first video visit three years ago, with a patient who lived on the island of Nantucket. The man, who had atrial fibrillation and a long surgical history, found it difficult to travel to Boston for checkups. Bhatt found it disconcerting to treat the patient remotely at first. But after a few video visits with him and his family, Bhatt discovered that she felt comfortable with the setup. The patient was able to come into the office for tests, she notes, but it was much easier for him to do the follow-ups from home. Since then, virtual visits have become a regular feature of Bhatt’s practice. She does two to seven of them per week—and some of her colleagues at the hospital have followed suit. Telemedicine made a splash in the consumer space via services that let people consult with doctors other than their own from their smartphones. Now it is poised to sweep through major healthcare systems. While few private practice doctors are doing virtual visits with their patients yet, it is a trend they should be aware of, because the competition from hospital-employed doctors is about to get a lot more intense in some areas as the latter start using telemedicine. 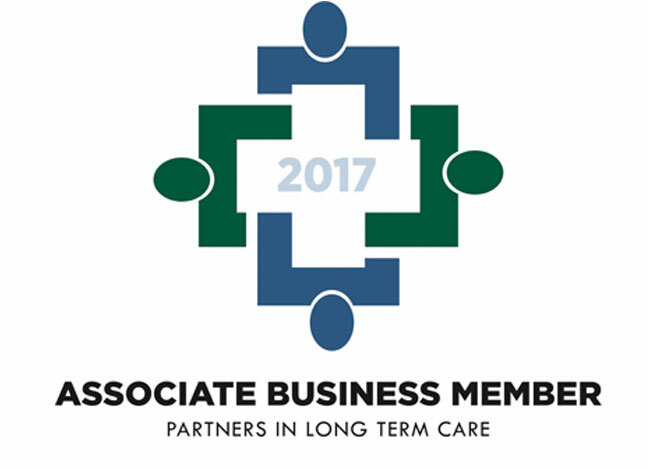 Here’s what’s happening in this burgeoning field, where it’s going and what independent physicians need to know about it. For decades, telemedicine was mainly used to connect patients in rural areas with specialists in metropolitan regions, using audio-visual equipment in their primary care doctors’ offices. Later, as smartphones became ubiquitous, commercial telemedicine services—often contracted by employers or health plans—began to enable people everywhere to have video consults with doctors hired by the services. Patients often pay for this service out-of-pocket, but in 32 states insurance companies are now required to cover virtual visits, which cost $40 to $50 each. Healthcare systems that offer virtual visits usually contract with one of the telemedicine services, such as American Well, MDLive, Doctor on Demand and Teladoc. The healthcare system brands the telemedicine platform under its own name and may use its own physicians to provide virtual visits during some portion of the day. At other times, a consumer who has downloaded the virtual visit app onto his or her phone or tablet will get one of the telemedicine service’s doctors. To a large extent, observers say, healthcare organizations are using these services to build market share by attracting new patients who may later make appointments for office visits or lab tests. Some healthcare systems are also marketing their telemedicine services to established patients, including employees. Yet it’s unclear how fast virtual visits will spread. 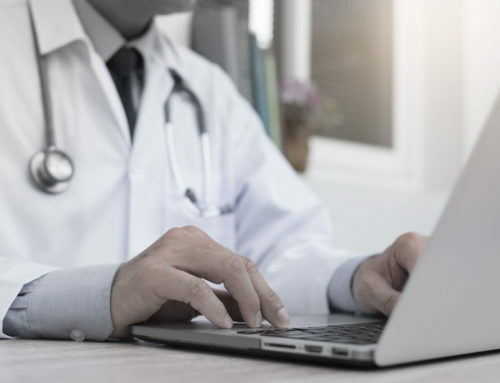 Joseph Kvedar, MD, vice president of connected health at Partners Healthcare in Boston, cites data from the American Telemedicine Association showing that there were 800,000 online consultations in 2015—a fraction of 1% of all outpatient visits. Even if that increases 50% a year, he says, it would represent a very small percentage of patient encounters five years from now. Internist John Jenkins, MD, chief clinical officer for connected health at Cone Health, a multi-hospital system in Greensboro, North Carolina, has a more bullish view. Within three to five years, he predicts, a quarter of Cone’s ambulatory-care visits will take the form of secure email consults or video visits. Read About The Protecting Access to Medicare Act, For other potential savings with TeleMedicine. Small private practices often lack the technical infrastructure for telemedicine, and most commercial services are interested in contracting only with large healthcare organizations. 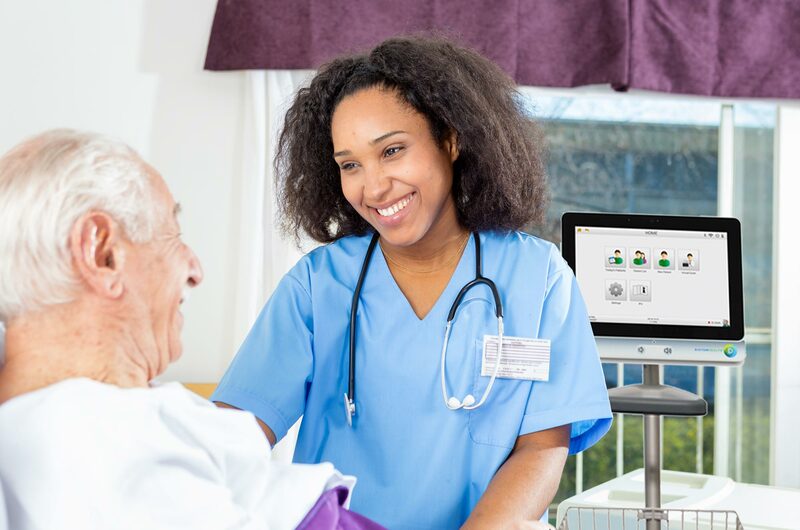 But one service, HealthTap, provides mobile apps with its concierge telehealth service, which enables independent physicians to perform virtual visits with their own patients. And American Well is starting to cater to doctors who want to add telemedicine to their private practices as a means of extending office hours virtually. Peter Antall, MD, chief medical officer of American Well, says early adopter physicians are performing a variety of tasks using telemedicine. Some practices are using it just to increase patient access. This approach might spare some patients a trip to the ED, thereby reducing healthcare costs for which the practice assumes financial risk under certain contracts. Other practices have integrated it into their cash-only concierge models. In rural areas, certain specialists such as orthopedists are using telemedicine to cover geographically multiple emergency departments (EDs), he notes. Private practice physicians can join the network of one of the commercial telemedicine services if they wish to earn extra money by doing virtual visits. 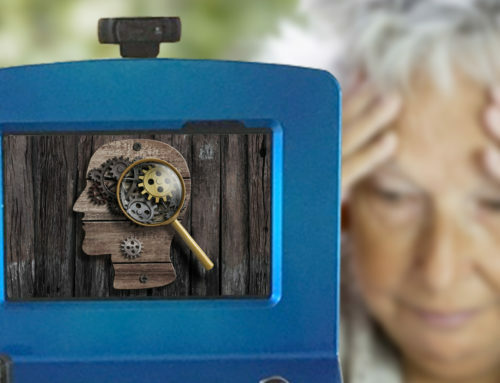 All they have to do is apply on a service’s website, complete a credentialing application and take some brief telehealth training before being connected with the telemedicine platform to start seeing patients virtually. On average, they will make about $25 per visit. So the telemedicine services take nearly half of the $40 to $50 that patients pay for virtual visits. To perform telemedicine visits across state lines, physicians must be licensed in the state where the patient resides. However, the new Interstate Medical Licensure Compact, which so far includes 18 states, will soon make it easier to obtain licenses in other states. This compact streamlines the process of physicians applying for licenses in multiple states by having the medical board in their home state attest to their qualifications. Brian Miller, MD, an ED physician at Cone Health, does virtual visits for MDLive in his spare time, taking calls from patients in both North Carolina and Texas, where he is also licensed. “I can take consults while driving in the car with my wife; I can take them while sitting home watching a football game. It’s very convenient for the provider,” says Miller. Each of these visits, he says, averages 7-10 minutes. In total, they generate a significant amount of additional income for him. Between 5% and 10% of the patients have problems that are more serious than he can handle in a virtual visit. In those cases, he tells them to visit the ED or an urgent care center or see their own doctor. American Well and HealthTap offer mobile apps that enable doctors to conduct video visits with their own patients. Antall disagrees. By using a platform like American Well, he says, patients can make an online request for a visit and can wait in a virtual waiting room so that doctors can see them when they have the time. Overall, he points out, there is a lot more that goes into a video visit with a patient than using Skype or video chat on a doctor’s computer or smartphone. 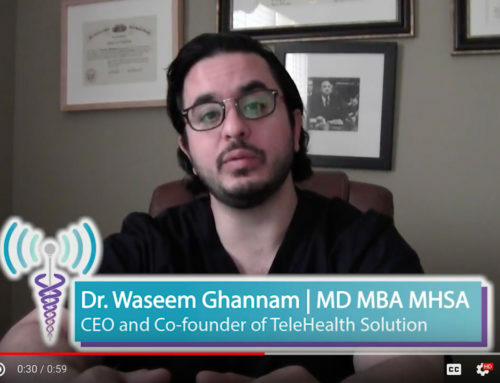 Besides the appointment and waiting room features, he says, a telemedicine service supplies workflow features such as having patients document their current symptoms and medical histories in advance, opening and closing visits, post-visit documentation, claims submission, direct billing of patients and providing notices of what kinds of symptoms are appropriate for a virtual visit. The platform is also secure, unlike ordinary video chats on smartphones, he notes. Kvedar says it remains unclear whether virtual visits promote efficiency. However, he says, there is evidence that virtual encounters can reduce the number of ED visits. That saves money for payers and can also enhance the bottom line of healthcare organizations that are at risk for the cost of care, he says. More to the point for private practice doctors, virtual visits make it more convenient for patients to receive treatment. Not only can this enhance patient satisfaction, it can also increase the likelihood that people with medical problems will seek help. Secours physicians and nurse practitioners. “Telemedicine is valuable, especially if you’re capturing an audience that would otherwise be noncompliant,” he says. Whether or not a virtual visit can provide the same quality of care as an in-person encounter is a matter for debate. Kvedar cites a paper by a dermatologist who found a “staggering lack of quality” and missed diagnoses in video visits. In Kvedar’s view, there are strict limits to what doctors can do in virtual visits, even for minor acute problems, so patients are trading quality for convenience. Jay Sanders, MD, a consultant who is also the founder and the former president of the American Telemedicine Association, agrees, noting that diagnostic testing is impossible in virtual visits. However, he adds, that may soon change with the adoption of devices such as portable stethoscopes and portable EKG devices that work with smartphone apps. Already, a wide range of exercise apps and related devices provide data on heart rate and activity, he adds. Cone Health’s Miller feels confident in diagnosing and treating people who have minor health issues without any additional data. Many physicians have liability concerns about video visits, Kvedar notes. There’s a genuine issue here, he says, but it’s probably not as serious as doctors think it is. “Most malpractice carriers are being very cooperative,” he says. Doctors hired by telemedicine services don’t know anything about the patients who request virtual visits, except for what the patients tell them or enter in an online template. Some large healthcare organizations are integrating their telemedicine platforms with their EHRs so that their own doctors can pull up records when they do virtual visits with patients in their group. In addition, this integration can help outside telemedicine physicians send visit notes to a patient’s regular doctors. The acceptance of virtual visits among consumers, typically among younger people is growing, experts say. But consultant Gingrass notes it will be difficult to get most patients to adopt this new way of seeking care. “It’s like offering a portal or online appointment scheduling. It takes a while to ramp up adoption,” she says. One reason why it may take a while for consumers to accept virtual visits is that they’d rather be treated remotely by their own doctor than by an anonymous online physician. A recent survey found that two-thirds of consumers would be interested in having video visits with their own primary care doctors. If a physician has no prior relationship with a patient, it can be very hard to conduct a virtual visit, says cardiologist Bhatt.